I’ve logged in to my WhatsApp web interface today, and I have noticed that there is a WhatsApp standalone client available. I though I would give it a go and see what sort of improvements are available. 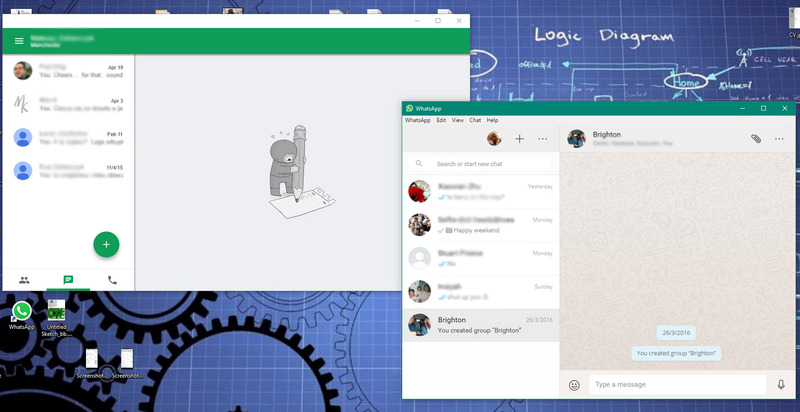 Turns out that standalone version looks much alike Hangouts app. New application window is launched on Windows (8+, and also on Mac). I found myself using a web interface very often, as reaching for mobile each time something pops up on it is rather uncomfortable. I’m pretty sure you know this already! Turns out there isn’t any. The only addition I see so far is ability to change sessions from web interface to the standalone without logging in again using QR code. Nice to know this is available, however I’m yet to see if this functionality is available across the computers. QR code is no longer required on authorised computers, you will be only logged out. If you want to revoke Whatsapp authorisation, use the mobile app. Why would you use the standalone version? 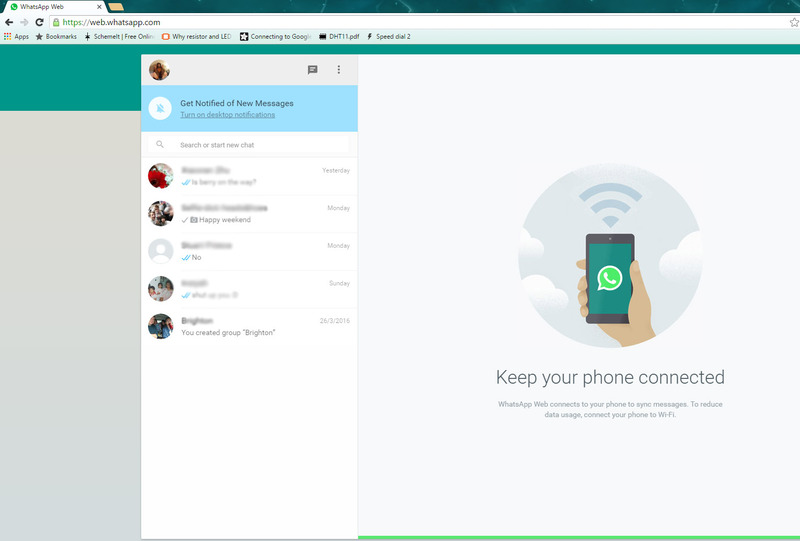 Unless you are very strict about your web browser windows, I really can’t see any reason to use the Whatsapp download. The application still needs your phone to connected to network (WIFI or data) which is kinda annoying. I wish there would be an option to authorise your log in for few days and use the web interface even if your phone isn’t connected. I’m sure there is a security reasoning behind this limitation. Another thing to point out, for all you that run laptops – especially lower end devices or simply older computers, you may benefit from the change. To run single instance of chrome (I have a rich selection of extensions) with the WhatsApp web interface I need over 130MB or memory, while the standalone app uses about quarter of the resources. Will I use the download version? Perhaps? I will give it a go for few days and see if it sticks. Work slackers (or power users with tight PC privileges at work) are more likely to continue with the browser version, I will find it hard to believe someone would go all the way to get this installed on your work machine, where browser offers you the same functionality. Did you find a new functionality in the Whatsapp download that I missed? Let me know! WhatsApp can be downloaded here.